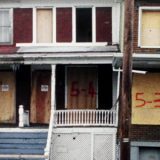 The 2006 horror film, Silent Hill, was partially inspired by the town of Centralia, PA. The film itself is an adaptation of the Silent Hill video game series which was first released by Konami in 1999. 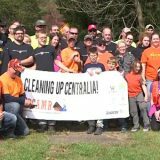 According to Avary, he heard many stories about Centralia while growing up, since his father was a mine engineer. The town’s sink holes, long burning mine fire, and fog would all make their way into his adaptation of the video game series. The parallels between the villages of Centralia and Silent Hill are easily visible in the film. Silent Hill is located in coal region of West Virginia, just as Centralia was founded in a coal mining area in Pennsylvania. In the town of Silent Hill, a thick blanket of fog and ash descend from the sky. While Centralia lacks falling ash, it certainly has plenty of fog, gasses, and steam venting from the underground mine fire. 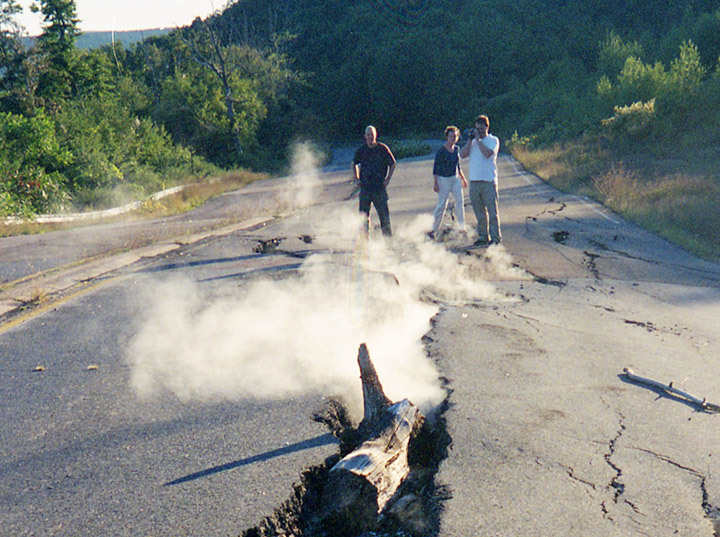 The town of Silent Hill also has huge cracks and fissures in the roads. 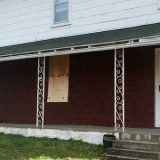 These are found in Centralia too, especially along the abandoned section of Route 61. Finally, in the movie it is eventually discovered that Silent Hill was abandoned 30 years before due to a coal seam fire. 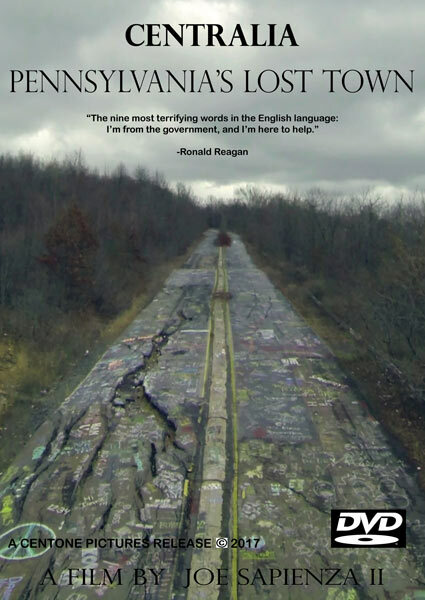 This is exactly what caused Centralia, PA to be evacuated and razed during the 1980s. 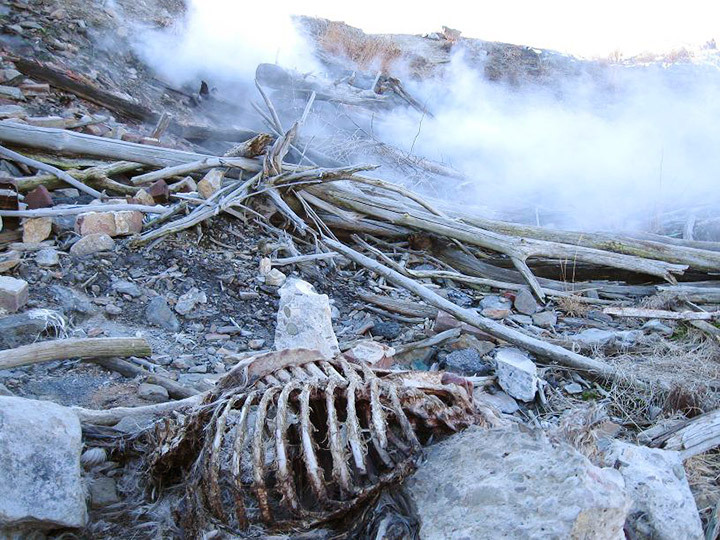 Though it lacks the demons, cults, and evil spirits, Centralia has many of the other disturbing elements found in the film. 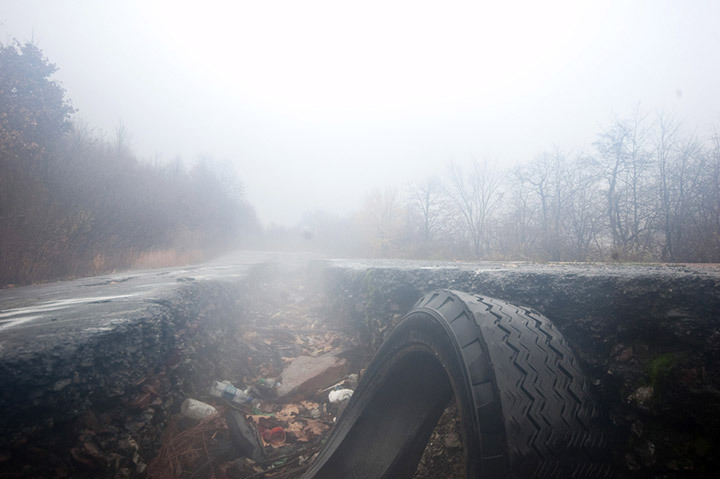 In that sense Centralia, Pennsylvania is the real-life Silent Hill. I think if you were to model “Silent Hill” after anyplace it would be a combination of Centralia and Dicksmont Sanatarium (before they tried to build a Walmart on it) in Pittsburg near McKees Rocks… The Dark Parts of the movie looks just like Dicksmont did. There were MILES of underground tunnels down there… They gave up building the WalMart after the ground collapsed last I heard. Any comments on this. 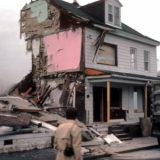 Can you still visit this town. Can we go there and walk around ND if so do we have to put safety gear on? You can go there without safety gear. 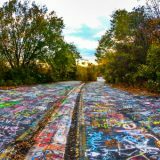 The graffiti highway is easy to get there and seems to have virtually no security. There is no longer steam rising from the ground, at least not when I visited. It seems the fires have died down enough that you wouldn’t know they were even still burning… if they even still are. The Wal-Mart would have made it more horrifying for sure!